In 1957, eighty white ministers in Atlanta publicly endorsed what has been referred to as the Ministers Manifesto denouncing racial segregation. The statement was published in the Atlanta papers and subsequently the New York Times. We feel it is time to publish a similar document and start a movement for interfaith cooperation. For more than a year, religious and thought leaders in Atlanta have met to denounce bigotry and enhance interfaith cooperation. Atlanta has a history of taking stands for human rights. Martin Luther King, Jr., Mayor Ivan Allen, Jr. and Atlanta Constitution Editor Ralph McGill are among the giants on whose shoulders we now stand. We now ask you to join with us and stand against religious bigotry, violence and hate in Atlanta and around the world. 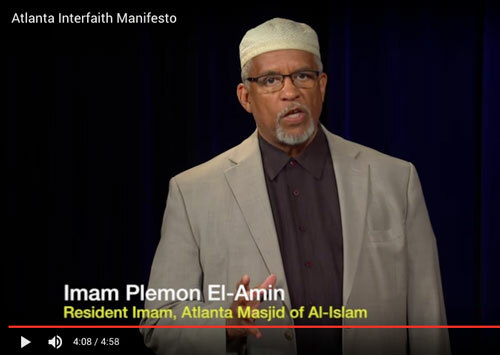 I\'ve signed the Atlanta Interfaith Manifesto. I've signed the Atlanta Interfaith Manifesto. Interested in getting updates about the Atlanta Interfaith Manifesto, our blog series, and Atlanta interfaith events? Sign up for our e-newsletter here.